I recently heard a discussion on the subject of perpetual adoration, which means round-the-clock prayer and adoration before the Blessed Sacrament. The Franciscan Sisters of Perpetual Adoration (FSPA) have had at least two people praying continuously, day and night, at a chapel in La Crosse, Wisconsin nonstop since August 1, 1878. Yes, I said since 1878! They have been praying longer than anyone in the United States. I’m not extremely religious, but do believe in the power of prayer and found this to be very intriguing. I had no idea this was even going on in La Crosse, which is just a hop, skip and jump away from my home state of Minnesota. Also, it's amazing that the people that make up the congregation are incredibly dedicated to continuing this tradition. Here is the link to their site to learn more about FSPA. In addition, you may also submit a prayer request to honor or remember a loved one. 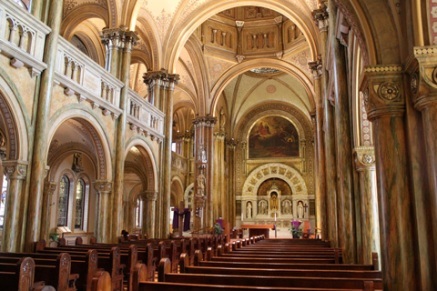 Included at this site is tour information about the chapel, their mission and history. You might say, this story divinely inspired me to, unconventionally, name this featured series of amazing, unbelievable, or incredible stories “Holy Guacamole! Is That For Real?” I often come upon these unusual stories and would love to share them to entertain or enlighten. This will mark the first featured installment to end the month and until next month's HG edition, expect the unexpected! 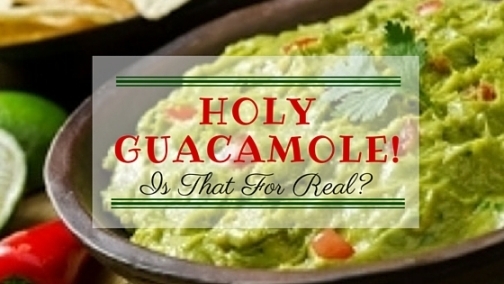 Holy Guacamole is right! Truly interesting. A lovely chapel.